Once labeled as the "me, me, me generation" by TIME magazine, millennials are making impressive strides when it comes to donating and contributing to charities and non-profits across the globe. Based on research provided by the 2015 Millennial Impact Report, millennials possess a higher giving power than previous generations. In fact, a whooping 84 percent of millennials in the workforce made financial contributions to charity in 2014. Engaging with millennial donors, however, differs from other tactics used to approach activism. Rather than relying on phone calls and donations via mail, millennials depend on technology to stay connected. Social media networks have become the primary link for connecting the millennial generation to non-profits and other charity organizations. Before becoming involved with any organization, most millennial donors will search their social networks to gain a better understanding of an organization's initiative. For example, Philanthropic Consultant and Founder of Generosity Auctions, Abra Annes, understands the value of social media when it comes engaging with millennial donors. Over the past two years, Abra has raised over $15 million for various charities. Millennials in particular are interested in becoming involved with the causes Abra represents due to her strong digital networking skills and passion for bringing people together. "If your fundraising doesn't show up on social media, it basically didn't happen. I advise non-profits to develop a social media plan six months prior to any event or campaign. Devise a unique hashtag and make sure it is on the save the date and event invitation. Be sure to display it on the screen during the event and encourage everyone to post photos using the specific hashtag. Remember, millennials and younger potential donors live their lives online - encouraging them to leverage their social networks promotes engagement and results in PR for the nonprofit." Leveraging social media is indeed the key for engaging with millennial donors, yet mastering the art of digital networking can be tricky. From ordering an Uber to getting food delivered ASAP, millennials are accustomed to on-demand convenience that drives quick results. It only makes sense that young donors are going to be more willing to donate if they have easy access via their smartphone. The United Way recently applied a mobile giving platform to encourage millennials to make contributions. Their recent "Restore Baltimore Campaign" raised $570,000 just through crowdfunding and mobile contributions. 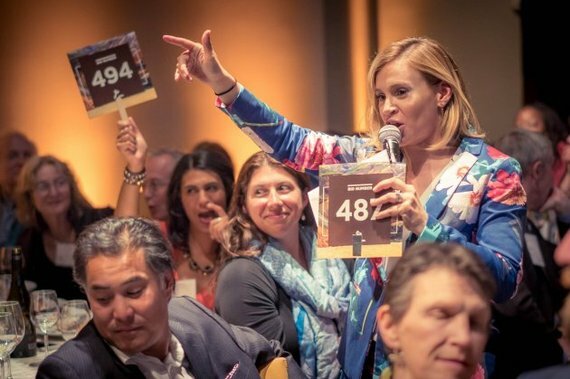 The concept of "on-demand contributing" has also inspired the idea for mobile silent auctions and raffles. Accelevents, for example, is a company that offers a text message based mobile bidding system, which allows donors to bid directly from their smartphones. This encourages more fund raising participation amongst millennials in particular. Furthermore, organizations that have mobile contribution platforms can easily add these links to any of their social media networks to achieve fast and easy donations. It's been reported that 150 million people use Snapchat each day - Twitter only has 140 million users per day. So why has Snapchat become so popular? Because it's the perfect tool for engaging with an audience. "Snapping" pictures and 10-second videos during charity events allow organizers to show donors and potential members just how fun fundraisers can be, while displaying their message in an interactive way. Organizations should also regularly post updates to the "My Story" section of Snapchat. Daily Snapchat stories will show millennials the impact of their donations, while ensuring that they are constantly involved. Video blogs, also know as a "vlog," are proving to be the next-generation of blogging. Organizations and non-profits with a vlog on their website are sure to capture the attention of millennial donors. Abra Annes has a vlog on her website and regularly posts YouTube videos to display the fun nature of charity auctions. Abra's most recent video features her conducting an auction with Snoop Dogg during the "No Guns Allowed" event benefiting the Snoop Youth Football League. Finally, sharing your organization's voice is one of the most effective ways to get a message across. However, this isn't just limited to Facebook status updates and Tweets. New voice-based networks are now emerging that allows interaction via voice. Engaging with millennial donors through voice results in messages that truly resonate with your audience. Flyy App is a voice-based social network that lets people across the globe share their thoughts with others. Flyy users can record their voice for up to 60-seconds and then promote these recordings across their social networks. "Communication through voice is more profound and impactful. So many ranges of emotions that we are all able to empathize with are conveyed through voice and lost within text." Research shows that millennials are making large contributions to organizations and non-profits, yet as Abra Annes said, "If fundraising doesn't show up on social media, it basically never happened." Fortunately, mobile contribution platforms, Snapchat, vlogs and voice based social networks provide organizations with a way to effectively engage with millennial donors.